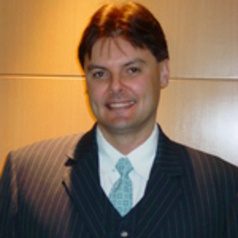 Grant Richardson is Professor of Accounting in the Department of Accounting and Corporate Governance at tMacquarie University. Professor Richardson has worked and held several senior full-time and visiting positions at leading academic institutions around the world, including The People's Republic of China (Mainland), Hong Kong (SAR), Japan, Singapore and the United States. Professor Richardson has published in many high-quality refereed journal publications across the accounting, finance and law disciplines such as The European Accounting Review, Journal of Accounting, Auditing and Finance, The Journal of Accounting and Public Policy, The Journal of Banking and Finance, The Journal of Business Ethics, The Journal of Corporate Finance and The Federal Law Review. Grant has also published in the Top-4 specialist journals in international accounting, represented by The Journal of International Accounting Research, The International Journal of International Accounting, The Journal of International Financial Management and Accounting and The Journal of International Accounting, Auditing and Taxation. Professor Richardson is an Associate Editor of The Journal of Contemporary Accounting and Economics. He also serves on the Editorial Boards of several internationally renowned accounting, finance and law journals, including The Journal of Accounting and Public Policy, ABACUS, The International Journal of Accounting, The Journal of International Accounting, Auditing and Taxation, Advances in Taxation, Meditari Accountancy Research and The New Zealand Journal of Taxation Law and Policy. Grant has also been an Ad Hoc Reviewer on many leading accounting, finance and law journals, including Accounting and Business Research, Accounting and Finance, Accounting Horizons, British Accounting Review, Corporate Governance: An International Review, The European Accounting Review, Journal of Accounting and Public Policy, Journal of Banking and Finance, Journal of Business Ethics, Journal of Business, Finance and Accounting, Journal of Corporate Finance, The International Journal of Accounting, Journal of International Accounting Research, Journal of International Business Studies, Journal of Public Economics, Journal of World Business, and The Monash Law Review. Finally, Professor Richardson consultants for industry and government in the areas of accounting, taxation and academic research in Australia and internationally.